Wondering what’s so amazing about Greek yogurt? The health benefits alone should make this a staple in your diet. 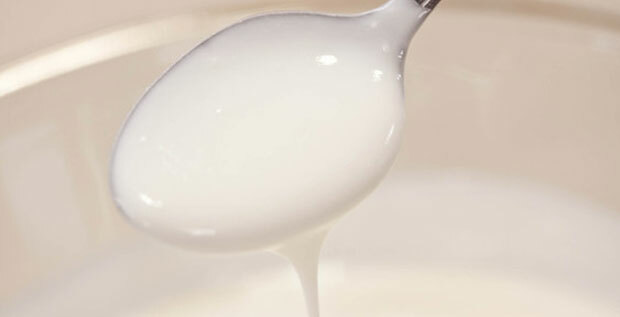 The rich, creamy texture and taste, however, is what drives the popularity of this dairy product. Like standard yogurt, Greek yogurt benefits your body in a myriad of ways. From bone health, to weight loss, to regularity, Greek yogurt supports your health from head-to-toe. As an excellent source of probiotics—the healthy, necessary microbial flora in your intestines needed to break down food—Greek yogurt helps with healthy digestion. Probiotics has been beneficial in a host of other health issues including improved lactose intolerance, lowered cholesterol, improved immunity, and reduction of discomfort associated with IBS. Make sure the yogurt you purchase includes “live and active cultures” on the label to maximize probiotic potential. Additionally, Greek yogurt is a good source of calcium, which is necessary to ward off osteoporosis and maintain bone health. Calcium deficiency can also lead to aching joints, hypertension, insomnia, muscle cramps, and heart palpitations. Averaging about 250 milligrams of calcium per 8-ounce serving, Greek yogurt is an efficient way to meet the RDA’s minimum requirement of 1000-1200 milligrams a day per person. A popular benefit often mentioned by Greek yogurt proponents is that eating Greek yogurt may help with weight loss. According to a 2005 International Journal of Obesity article, obese subjects who ate low-fat yogurt on a restricted-calorie plan lost 22 percent more weight and 61 percent more body fat than those who were on the same food plan but did not include the calcium boost (1,100 milligrams vs 500 milligrams of calcium a day). The yogurt-eating subjects also lost 81 percent more fat in the stomach area than did the non-yogurt subjects. Also, Greek yogurt is extremely versatile. It shows up in both savory and sweet recipes, and, due to its smooth and thick consistency, it can be used as a healthy substitute for sour cream. Also, eating yogurt as a snack instead of the usual candy, chips, or other protein-less fare provides a lasting boost of energy without the sugar crash. The first difference that you would notice between Greek yogurt and regular yogurt is primarily one of thickness and mouth-feel. 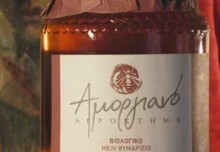 Greek yogurt is made in much the same way as regular yogurt, but it has been strained a third time to even further reduce the whey, and therefore has a thicker, creamier texture. There are also, however, subtle differences in the nutrient distribution between Greek yogurt and regular yogurt. For example, Greek yogurt has almost twice as much protein as standard yogurt. Six ounces of Greek yogurt has 15 to 20 grams of protein, compared to 9 grams in regular yogurt. Greek yogurt has 50 percent less sodium than regular yogurt and plain Greek yogurt contains around 9 grams of carbohydrates compared to 15 to 17 grams in regular yogurt, which might make it easier to digest due to less lactose. The one place where Greek yogurt falls short of regular yogurt is in calcium levels as the latter provides nearly three times more calcium. However, Greek yogurt is still an excellent source of the mineral, with one serving providing nearly a quarter of your daily calcium needs. Greek yogurt’s versatility makes it easy to incorporate into a variety of recipes and meals. For savory dips, mix it with chopped, fresh herbs and other seasonings. In recipes that require mayonnaise, sub half of the mayo with Greek yogurt for a boost in protein and nutrients while cutting the fat. 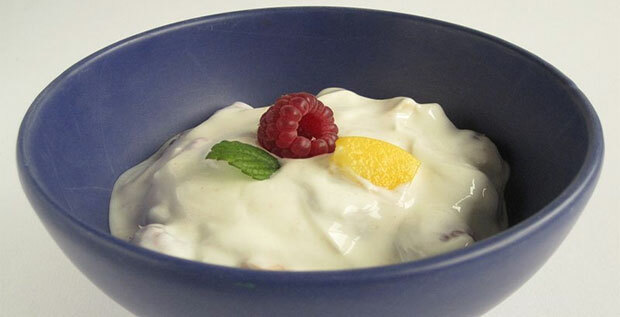 Use Greek yogurt in place of sour cream; it will provide the tang and creaminess associated with sour cream, but with much less fat and much more protein. For some baked goods, you can use Greek yogurt to replace eggs and oil. Greek yogurt also makes an excellent base for smoothies. Or simply add some fresh fruit and a drizzle of honey for a sweet, decadent-tasting, but still healthy, snack. Marcela De Vivo is a well known freelance writer of the Los Angeles area, and founder of Gryffin Media. She also currently writes the blog for www.healthyhairplus.com in which her articles focus on health, beauty, and wellnes.